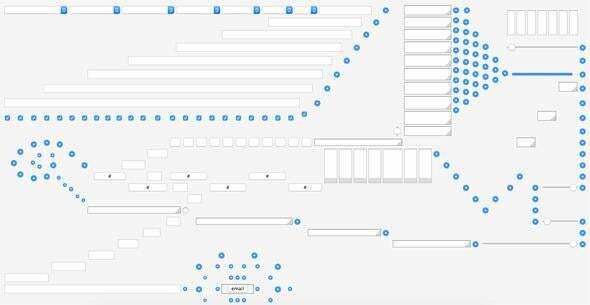 A website Rube Goldberg machine made of HTML form components. To differentiate a Rube Goldberg machine these days, it usually needs to be big and flashy. You have to set something on fire. But the beauty of this digital Rube Goldberg by Sebastian Ly Serena is its subtle humor. You set it off and it very quietly races toward a satisfying conclusion. The cascade happens within HTML components that are usually used in forms—check boxes, dropdown menus, sliders, text fields. With one click you start a chain of blue checks that eventually leads to a button for emailing Serena. The forward momentum feels real. So maybe just take this Rube Goldberg machine at face value. It’s a pretty clever way to give people your contact information.